This season we invite you to take part in one of the easiest and most beautiful fundraising efforts available! We have expanded our fundraising programs to better suit our customer's needs. Your group can receive a percentage of sales at Turks’ Greenhouses during a designated period. Once approval has been given, distribute copies of the flyer that is especially designed for your organization, stating that a percentage of any purchase using the flyer (less sales tax) will be donated to your group/organization. Then promote the sale by having your group spread the word about your fundraiser and distribute an unlimited number of your flyers. Individuals can shop at Turks’ Greenhouses on dates agreed upon in the fundraising application and present their flyer at checkout. Shoppers will receive a Turks’ receipt for their purchases as well as their portion of the flyer indicating how much they spent. Shoppers may then return their portion of the flyer to your fundraising committee so that you may keep track of how much your group has earned. As soon as the event is over, Turks’ will calculate the money you’ve raised and make sure it agrees with your numbers. Turks’ will then write a check payable to your group/ organization for the total amount of funds raised. This fundraiser is simple and much less time consuming than other fundraising efforts which often require: specific orders, money collected in advance, a large volunteer force for product delivery & pick-up, troubleshooting problems with products or unsatisfied buyers. 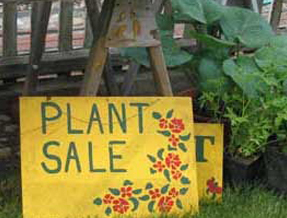 Except for event promotion, your efforts are few compared to the conventional plant sale. With the quality and variety Turks’ offers, your shoppers will leave our greenhouse happy after being able to hand pick exactly what they want, while at the same time raising funds for their organization. We also hope to be able to also extend this opportunity to you this fall with our large selection of high quality fall mums.